The new FootJoy Ladies M Project golf shoes are designed to fit like a running shoe and provide improved stability on the course. Footjoy's M-Spec leather upper offers a softer feel for all players. The spikeless sole allows you to wear these shoes on or off the course. Footjoy Womens M Project golf shoes feature a generous forefoot for a better fit on your feet. Nice quality golf shoe however they really ran large, so I had to return them. 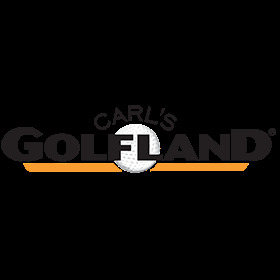 Carl's Golfland makes your return easy and credited my account. Thank you for your service. Originally, I was attracted by the price and free shipping when I ordered a pair of Footjoy shoes. Shoes were shipped immediately with a tracking number. When they didn't arrive on the delivery date shown on the tracking information, I contacted Carl's. Carl's sent out a new pair that day and handled all issues with UPS and Post Offfice. Second pair shipped were at my door four days hence. (Still no sign of first pair). Thank you, thank you-best customer service ever!! Found what I wanted at a sale price. I was pleased that I found white shoes like the black ones I already had. The ordering process was quick, and the acknowledgment and shipping was extremely fast. I’ll shop there again. Great brand and choices of shoes with exceptional service and prices! Have bought here many times and results have always been great. Good service, good product. Can't ask for anything better than that.